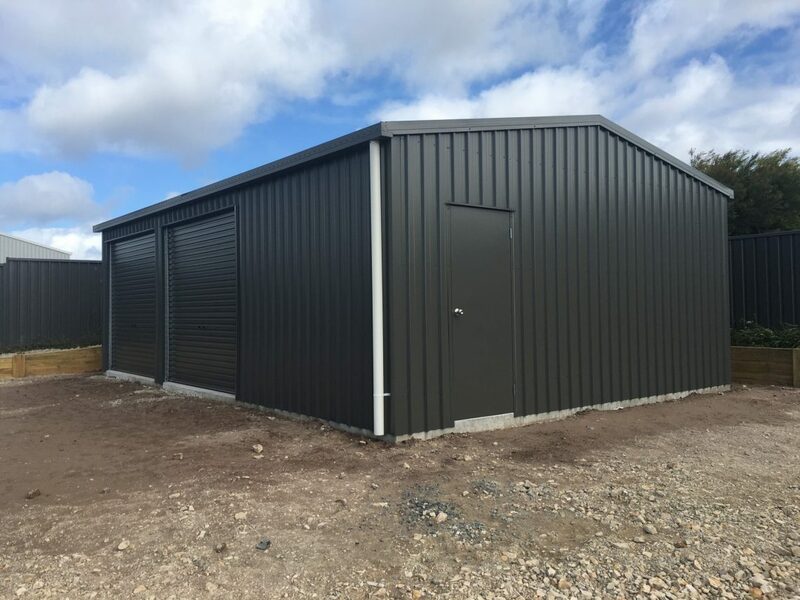 Whether it’s a single garage, a shed for the boat, a multi car garage or even a large workshop, our experienced team will work with you to tailor a design to suit your specific requirements. 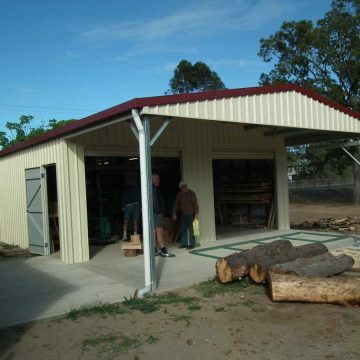 All products are independently tested for “low-high-low” cyclonic regions. 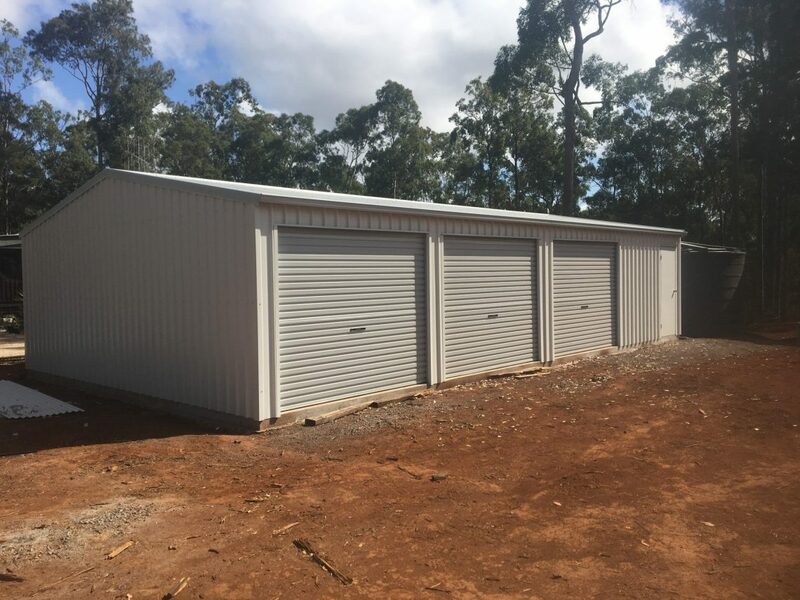 Our versatile modular system means you can design and build it all yourself! 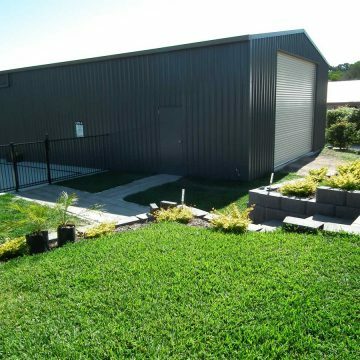 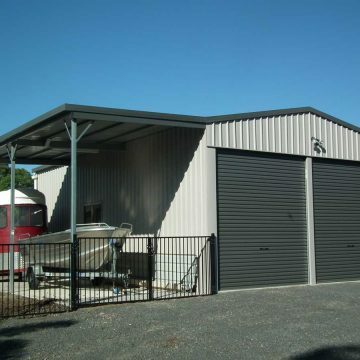 Our versatile modular system means that you can design and build a Carport with either a gable or skillion roof that fits your home and has all the features you need. 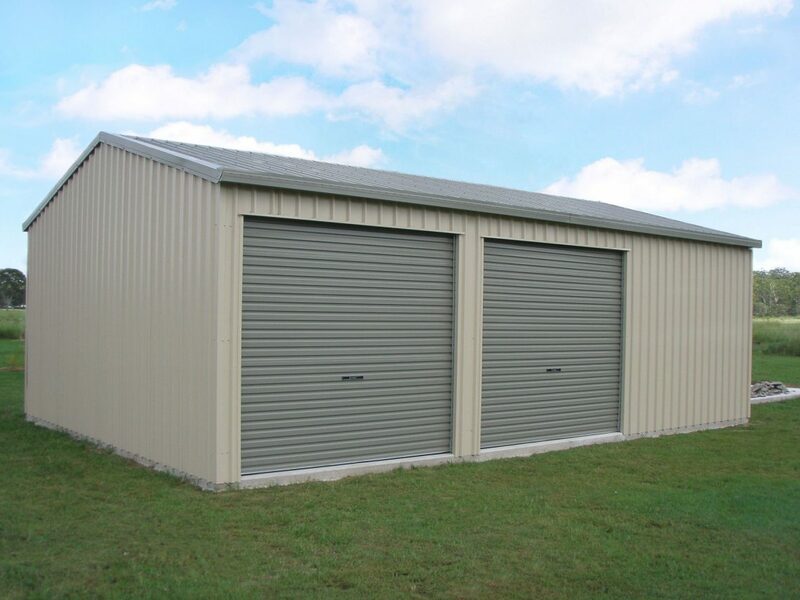 Then combine standard, wide or open bays, access doors, windows, skylights and more. 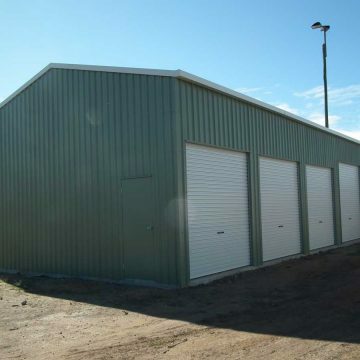 Steeline shed structures are designed to meet the toughest standards for quality, durability and attractiveness. 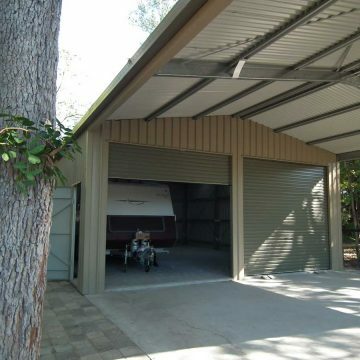 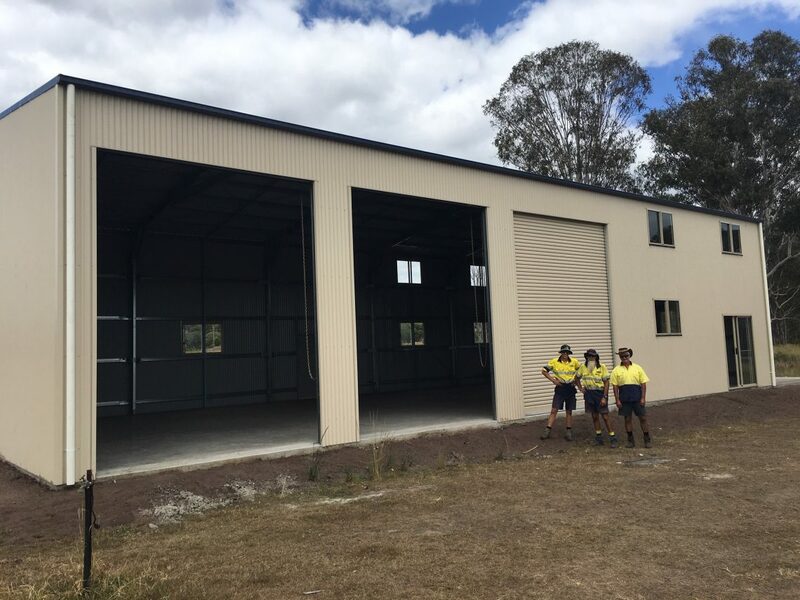 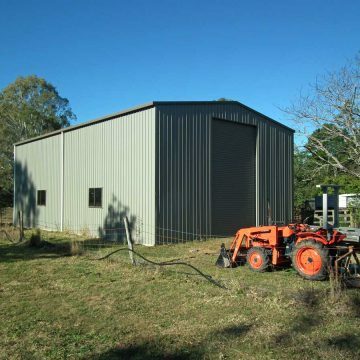 The fully bolted frame and clear shed span design is highly adaptable for a variety of uses and strong enough to withstand the toughest Australian conditions. 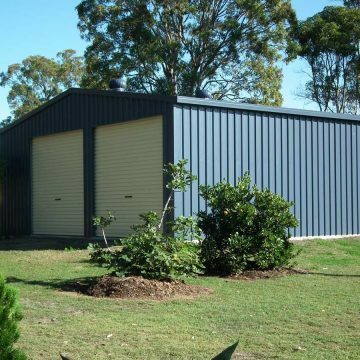 There are 22 modern colours available in the Blue Scope Colorbond Steel Range as well as standard Zincalume. 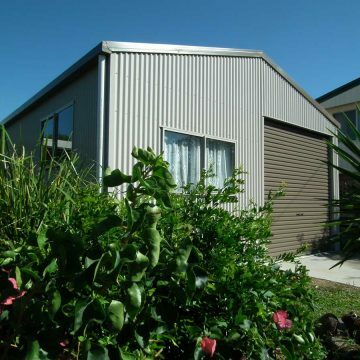 You can choose different colours for your walls, roof, gutters, flashings, barge and doors.